Which is the best picture? 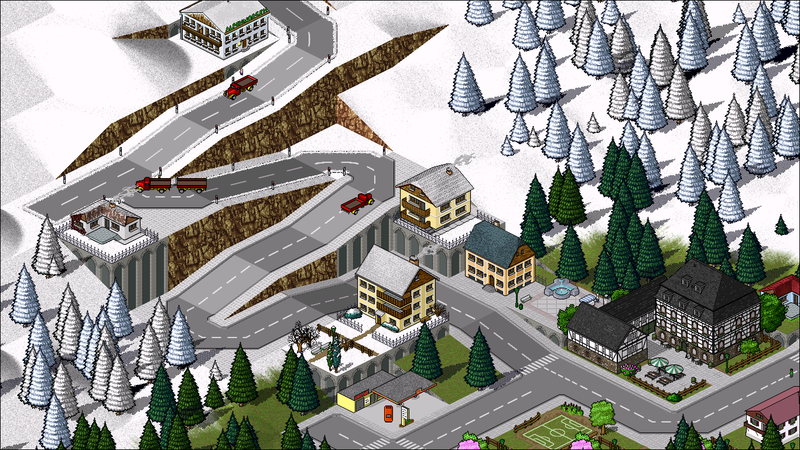 This month's topic is Mountain Pass. Please vote for your favourite picture. You can only select one. The survey will be available until 31st. The winner will get fame and glory at the Simutrans Community. I have made second version without grid, just a while after you closed the topic. 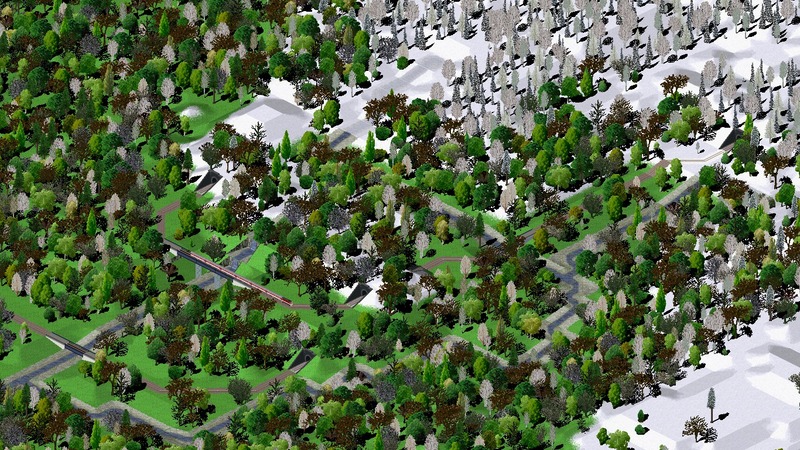 I play with the grid on and small (hidden) trees that I did not realize the grid is even there. Well never mind. It is there. OK, picture replaced. I did not notice that you linked to the original. Sorry for little cheating. Does this mean Leartin loses the Moderator privalege. As Benevolent Dictator, I declare myself the winner! Wait, no, that'd be if I was just dictator. Okay, as Benevolent Dictator I force this contest to continue! And nobody loses moderator capabilities! So there! Nyah! * IgorEliezer watches the thread going on, safely, from distance. Nah, I got that privilege to host a few SRGCs and general concensus has it that you don't lose such privileges unless you abuse them. If I'd edit the image link in the poll to update the committed screenshot, it would be abuse of privileges. Changing the source itself is just abuse of an_dz carelessness, and I never even left any proof committed such an outragous crime. I, errr, just pointed out a security danger? I used to save the files to another account, but it was too time consuming. Effort on security should match the potential motivation for abuse. The latter is quite minimal, so the former should be minimal. On the flip side, saving the files allows them to stay active if the original link goes dead... some of the old SMSC contests have mostly unlinked images now, which is a shame as some of them were amazing and really showcase the possibilities with Simutrans. You underestimate the attraction of security. We could get the greatest criminal minds trying to win our screenshot contest by illegitimate means were the security only sufficiently tough to make it prestigious. This is a very good point! Perhaps an official Simutrans account on one of the large image hosters, deviantArt, flickr, google photos? As far as pictures go, there's plenty of room on the server. But if a social account seems preferable, no worries. Maybe even if I were to get in the habit of posting the entries (with the announcement of the winner) - it would involve downloading/uploading to the blog; but the images are stored as files on the server..... so it's trivial to keep them. And no harm in doing that :and: if someone wants to keep them in a social media account of some sort. 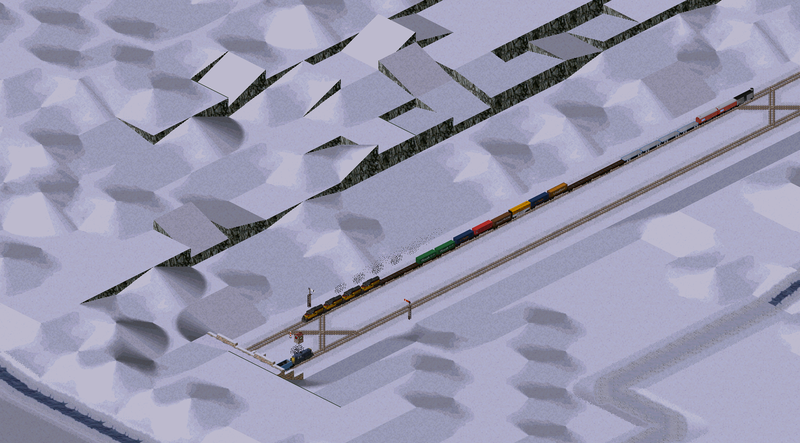 They were stored to the simutrans graphics archieve before, which seems to be on the same server already. I was not active around the time that archive was actively used, so I don't know if it ever was widespread and well-known, or always operated under the radar. Maybe we could tweak the attachment functionality of this forum a bit, so bigger attachments within the contest area are possible, allowing users to upload their screenshots instead of linking them. Or even add a gallery-feature to this forum... I don't know what's possibly. That's a good idea, Isaac probably can shed some light on what can be done. I venture that uploads are so severely restricted because of bots using the forum as a file-server for illegitimate files? Could this be a good use for the devotee membergroup? Heya - just checking various things before I head to bed - been a long week, but today in particular - so will try to check in soon, but it may be a little bit - maybe.... nearly a week. Or maybe sooner. But up-to. No worries, we are not on a hurry. In the SMSC, everyone wins!